How I Earn Rs. 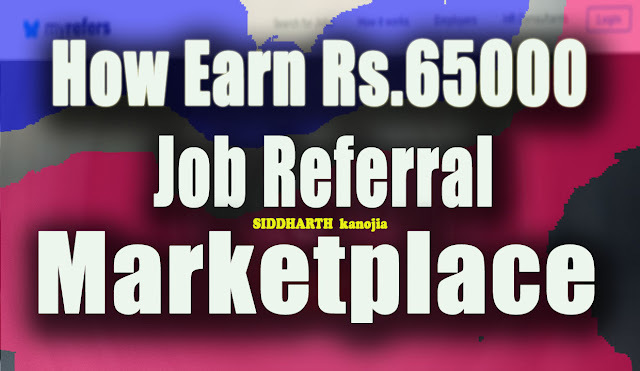 65,000 from Job Referral Marketplace | My Refers - SIDDHARTH Kanojia - A Growth Hacker and Digital Marketing Expert. 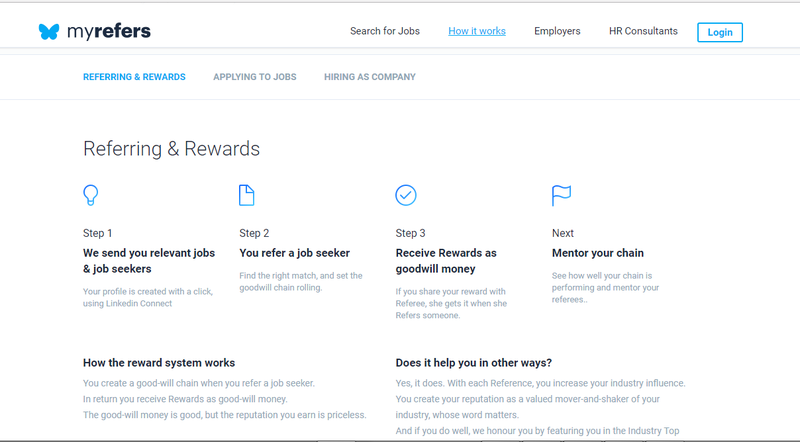 My Refer is a Job Referral Marketplace platform where a people make a money just by Referring friends to Jobs in Company directly to their office or any company. MyRefers is an impressive way to help your friends by finding dream jobs them. 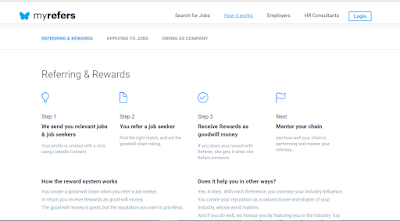 In this website, they will send you relevant jobs to you to refer a job seeker. You have to refer a job to your friends directly in the company. After interview and Joining. You will Receive Rewards as goodwill money. That's it and Keep working!! After Earning you can withdrawal money directly to your bank account or by Cheque. 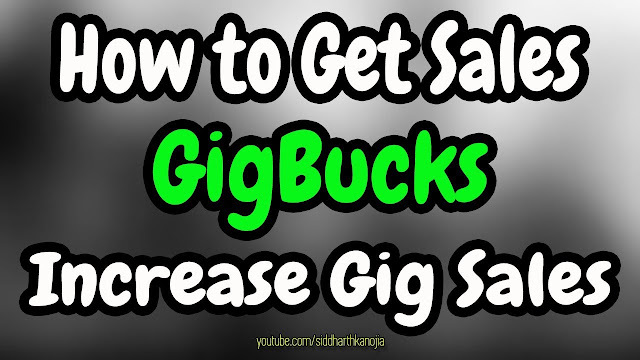 I hope this information will help you to make some cash using this website. hello i am from pakistan . plz tell me how i can do these work and how i can withdraw ? ?